Fresh-o-Fair: "We minimize delivery time"
A platform that serves as a channel between Ecuadorian flower farms and the European consumer. 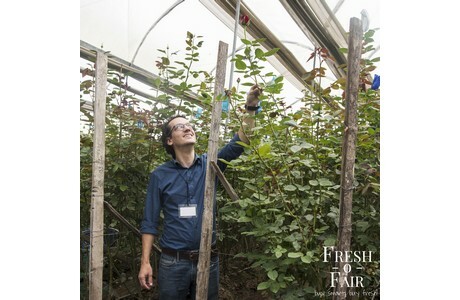 This was the vision of a German-Ecuadorian family and after three years of research, discussion and preparation they established a cut flower trade platform named Fresh-o-Fair in May 2018 and last month, they opened it to the general public. "We are now enabling Ecuadorian Farms to sell directly to Germany and the UK, but in the near future, we are eager to offer South American cut flowers to customers all over Europe", says Denise Morgan of the company. CEO Esteban Munoz at Nevado Roses in Ecuador. Fresh-o-Fair serves as a channel for the direct and sustainable trade of fresh cut flowers directly from the South American farms to Europe. "We want to be a tool to embrace the direct contact between the European florist and the Ecuadorian farmer. We help the farms manage their customer service and we help the florist with the import of products as well as with the international payment", says Morgan. Currently, the platforms offers a wide range of flowers, including roses, summer flowers, tropical and preserved roses. "Of roses alone, we count over 200 varieties." 17 Ecuadorian flower farms joined so far. "These are some of the best flower farms in Ecuador. They have been eager to take this initiative and supported us from the beginning." Every week, a direct flight goes from Ecuador to Germany, where the flower boxes are cleared by Fresh-o-Fair, and DHL Express handles the "last mile" logistics for them. "In this way, we minimize delivery time, it just takes 4 days for the flower to arrive from the farm to the customer." Better responding to the changing demands and selling products at prices that are fairer, both to them and to the European florist, are according to Morgan the main benefits for the growers using this platform. "We empower the farms and enable them to have direct contact with their customers and the transparency we are pushing for, will help the farms to channel their production much better. At the same time, florists will appreciate more where their flowers come from." On top of that, the grower does not have to worry about the transport to the customer. "The job of the flower farm ends when the flower boxes are handed in at the airport. Here Fresh-o-Fair takes care of the labeling and the coordination of the shipment. The flower boxes fly from Ecuador to Germany, where they are cleared by us, and DHL Express takes care of shipping and delivering to the customer, minimizing delivery times. Also for florists, ordering through Fresh-o-Fair has benefits. 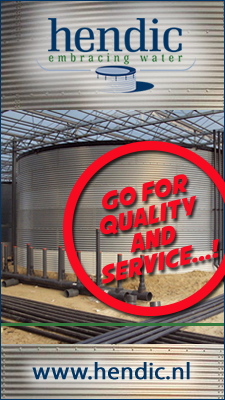 "It means receiving better quality flowers, directly from the farm, and therefore a fresher product. By ordering from the farms you can decide not only which exact variety you get, but also from which farm exactly your flowers are coming from. Through the platform, a florist can have a direct contact to the farm, know its exact location and have a list of all their certifications. Flowers arrive directly to the florist business, without having to pick it up anywhere. For larger orders, of course, a pick up at the closest airport is also possible. And, most importantly, thanks to this direct approach the whole value chain has at the end a lower environmental impact." Besides being a platform and serving as a channel between the farm and the consumer, Fresh-o-Fair also wants to inform the end consumer. "We want that more information reaches the end consumer through their florist, we want everyone to understand the entire life cycle of a flower and comes to appreciate it." They try to achieve this by writing blogs and social networks to help farms to communicate and show themselves to the world. "We want to empower the farms to reach and understand their own market and how important they are in the entire chain. We want that the world gets a glimpse of this production process and of everyone involved in it." In the short-term, for example, they are eager to grow and be able to offer South American cut flowers all over Europe. "We want customers to appreciate and fall in love with South American flowers." In the mid-term, they aim to implement their stock of Artificial Intelligence algorithms for the reduction of shipping time, on one side of the value chain, and on the other side, they want to implement these algorithms for the development of smart agriculture tools for the farms. A tourism project for guided visits to the farms is also on their agenda. In the long-term, they want to re-evaluate the entire value chain of this market and achieve a significant reduction of its overall environmental impact. "In packaging for example, we see many opportunities to make it more environmentally friendly." They also expect that more farms will see the benefit of uniting as a region through Fresh-o-Fair. "In the future we would like more farms to join us, not only Ecuadorian producers but from all South America. In the meantime, we are also looking forward to integrating small local producers and cooperatives and empower them to trade their products directly. This process will take some time as we need to help them achieve the expected market quality and help them receive important certifications like Fair Trade."